What Can Boardman Nissan Help You With Today? Interested in learning how to fix up your automotive situation? Then you will be happy to find out the Boardman Nissan team is here to utilize their knowledge to help you work out the best path going forward. 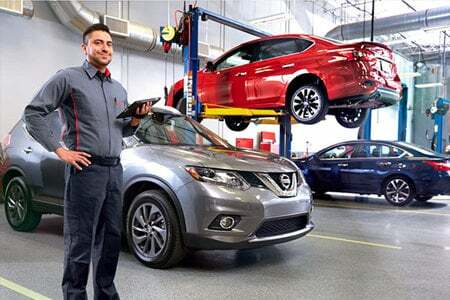 From providing some assistance as you sort through the plethora of great Nissan vehicles available at our lot to scheduling your next service, there is no denying our committed staff of experts is more than capable of providing the help you need to figure out these tough decisions. Tired of trudging through less than stellar support from other dealerships? Then take a minute to join us as we point you in the right direction and help you connect with the appropriate team of trustworthy Boardman Nissan experts. 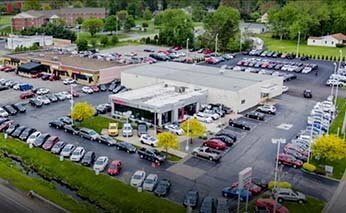 When it comes to new and pre-owned car sales, our sales team is clearly at the top of the industry in the Youngstown region. From bringing you up to speed with all of the latest new cars from Nissan to putting you on track for the right pre-owned vehicle (be it a Certified Pre-Owned Nissan or an offering from another automaker) that caters to your specific situation and budget considerations, we can give you access to the insight you need to make a solid choice. The best part about connecting with our sales team? We go out of our way to embrace a hassle-free shopping experience that never seeks to rush or force you into a bad decision. Only when you feel comfortable enough to press ahead will we give you the information required to move closer toward the new car that is right for you. Whether it is time to tune up your engine or you need a little help putting the pieces back together after an unexpected breakdown, Boardman Nissan wants to offer up this guarantee: We are the top provider of outstanding service that is quick, affordable, and always taken care of by licensed Nissan mechanics. Do you drive an automobile that is from another manufacturer? Then that is perfectly fine. The welcoming group of vehicle restoration experts here at Boardman Nissan is dedicated and prepped to fix your automotive issues — regardless of the type of vehicle. For those of you who are interested in handling a repair yourself, you will be excited to hear our expert team of parts advisors can help you acquire the part you need in a jiffy. From original equipment manufacturer (OEM) Nissan replacement parts to a plethora of other offerings that can help you square up a repair or service on virtually any automobile imaginable, we are confident the part you need is here for you now in the Boardman Nissan parts department. Of course, shopping for the right part at Boardman Nissan is about going beyond just having access to the best options near Youngstown. By bringing your business to us, you will also get to take advantage of the best prices in town, in addition to an ironclad commitment to inviting, hassle-free service. Did we forget to cover something? Then give us a call! Boardman Nissan is dedicated to bettering your dealership experience, so go ahead and shoot over your questions and comments our way when it is convenient for you. We will be ready to offer up as much information as possible as we help you tackle whatever automotive issue is currently on your plate. Now that you are well-versed on the right avenues for reaching out to the Boardman Nissan team, in addition to what each of our departments can provide to respected customers such as yourself, you only need to do one more thing: Give us a call! We cannot wait to connect with you soon and make certain any time you spend at Boardman Nissan is beyond compare.